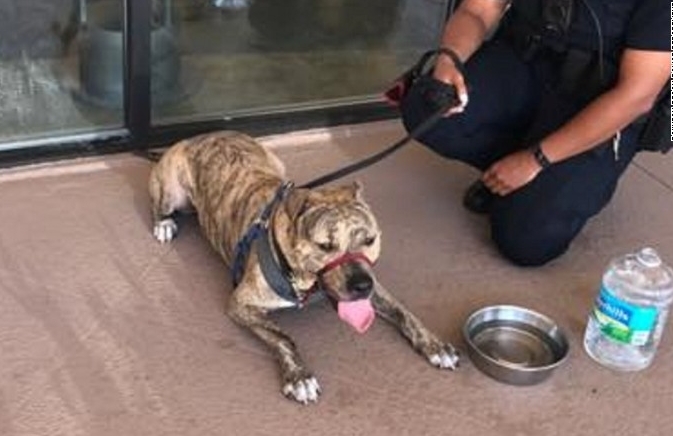 Police officers in Florida are warning residents about leaving dogs in the heat after they rescued a pit bull from a locked car earlier this week. The Boynton Beach Police Department responded to a 911 call about the dog at about 10.30am on Monday, and found the pit bull trapped in a car with the windows rolled up. Police said that it was at least 110 degrees inside the car when they rescued the pit bull. The temperature outside at the time was around 90 degrees. They had searched for the dog's owner for several minutes before breaking the car's window, police said. There was at least a ten- to 15-minute time span between the 911 call and the woman arriving on scene, officials added. 'We learned that she had just left the dog park with her rescue dog and drove to the bank. She said the drive-thru was closed, so she ran inside, leaving her dog in the car,' police said in a Facebook post. 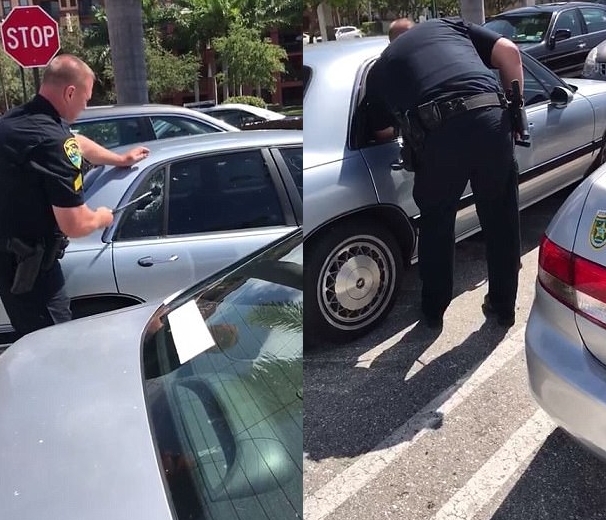 Police added: 'Animal Cruelty Investigator Liz Roehrich cited her for violation of Palm Beach County Ordinance 98-22,Section 24...dog left unattended in vehicle. 'The dog was returned to his owner after Roehrich educated her about the law,' police added. The woman faces up to a $500 for the citation. Police warned other pet owners about leaving animals in hot cars saying that the pets will 'suffer' if left in a hot car. 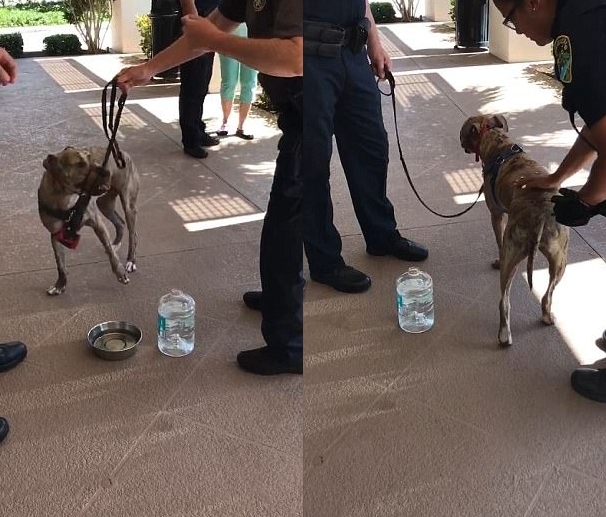 Responses to "Florida police rescue a pit bull from a car in 90-degree heat"